Let's travel the world! : The amazing Bamboo Forest in Sagano, Kyoto, Japan. The amazing Bamboo Forest in Sagano, Kyoto, Japan. 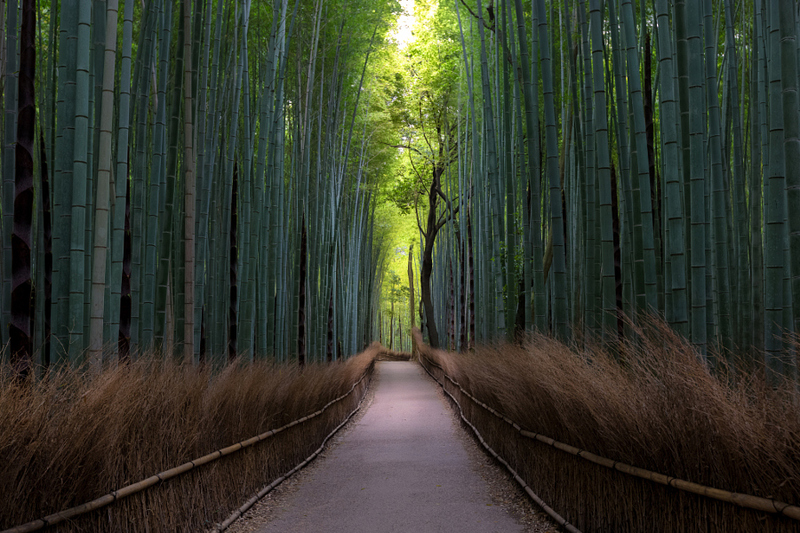 Bamboo Forest in Sagano, Kyoto, Japan. 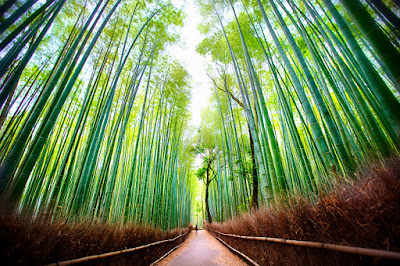 Sagano Bamboo Forest is one of the most amazing natural sites in Japan and one of most beautiful forests in the world. 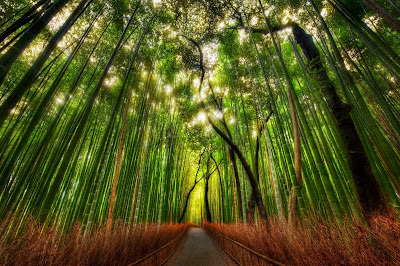 The forest is located in gorgeous Arashiyama. 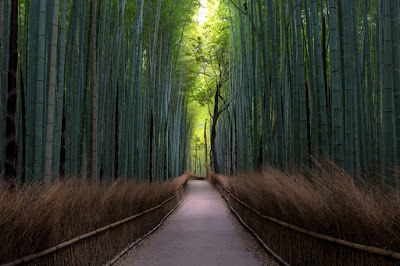 Arashiyama is a district on the west outskirts of Kyoto in Japan, only 30 mins from central Kyoto. 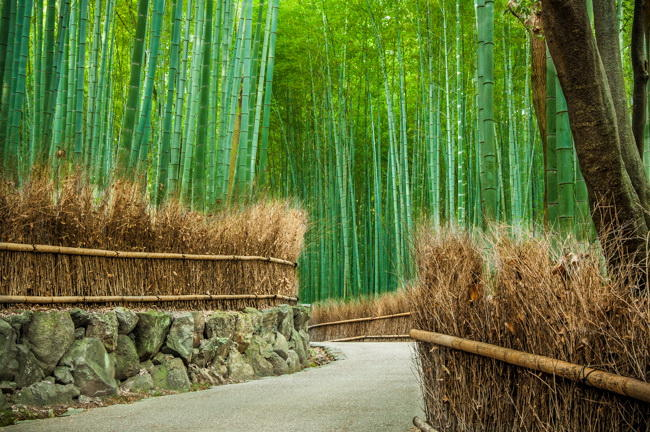 There will be signs showing the way to the bamboo forest. In case you don’t see one you can follow the signs for Tenryuji temple and Nonomiya Shrine. That will also get you to the bamboo forest. Arashiyama Bamboo Forest in Sagano, Kyoto, Japan. The its trails are over 500m. long and it's located between Tenryuji temple and Nonomiya Shrine. 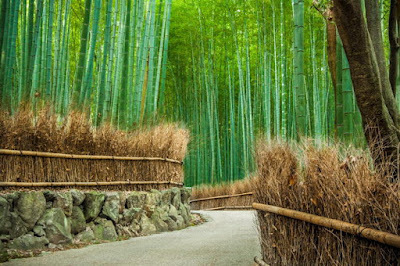 You can rent a bike, take a rickshaw ride or stroll the trails to enjoy the beautiful sight of sunlight shining through the bamboo forest. Strolling the trails you'll hear a soothing sound that wind makes when blowing amongst the bamboo, this sound has been voted as one of the “one hundred must-be-preserved sounds of Japan” by the Japanese government. Though it's the beauty of the bamboo that brings in the mass of tourists, those distinct rustling sounds have become an attraction in their own right. 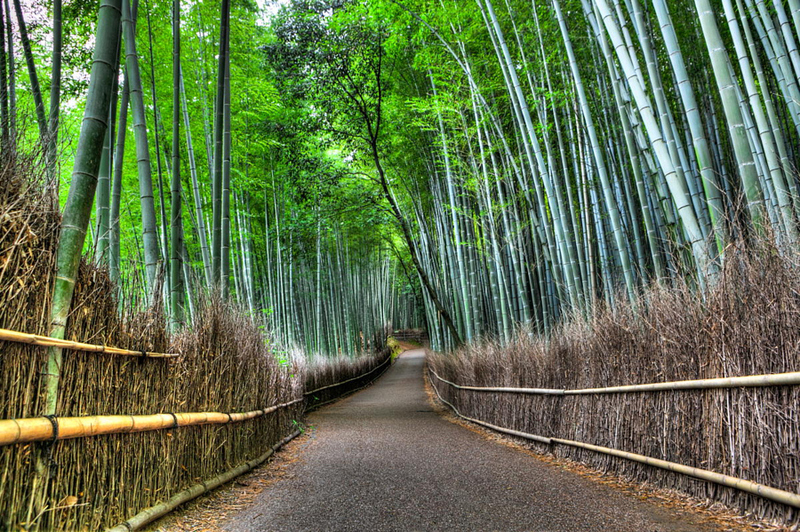 To walk across the bamboo forest there's no admission fee and it's open 24/7. 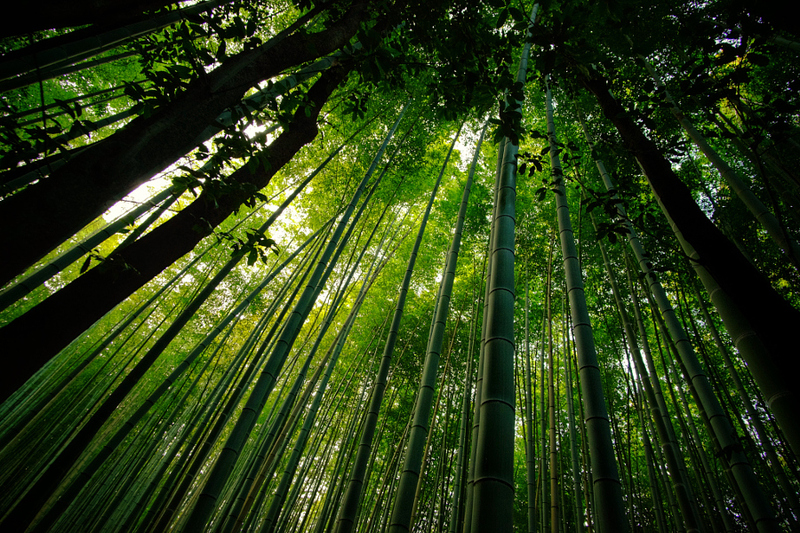 The Japanese have a long history with bamboo, in myths and legends, metaphorically linking a mans strength with this plant. Many festivals also include the use of bamboo in various forms. We can see that from bamboo ice cream cups, buildings and fences.